Join host Christopher McCollum, Brian Sciaretta and other Yanks-Abroad.com contributors each week for an in-depth look at how American players are performing abroad. Only on the North American Soccer Network. 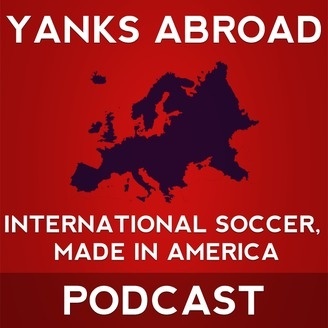 On this episode of the Yanks Abroad Podcast, host Christopher McCollum is joined by the regular crew, Brian Sciaretta, John Kretlow and Jamie Hill, to discuss the latest happenings in American soccer. The first segment of the show is dedicated to a post-emotional hangover breakdown of the San Pedro Sula loss, discussing team cohension, coaching malfunctions and where the team was found wanting. The second segment of the show saw the panel welcome on special guest Troy Ready, a former player and now coach and technical director in Tajikistan. Ready went from playing with Vakhsh to being the assistant coach, and is now also working with the men's and women's National Teams in the Central Asian country. For the third segment of the show, the panel looks at performances by Bobby Wood and Andrew Wooten in Germany, Steve Cherundolo's surgery update and Timmy Chandler's strong performance against Eintracht Frankfurt, which came days after a poor performance in the red, white, and blue. The show is concluded with an update on Brek Shea scoring his first goal (in exhibition play) with Stoke, and Mix Diskerud signing a new deal with Rosenborg.